Full Bass, compact design. Add a richer, deeper sound experience to YouTube videos, streaming movies, your favorite music and games. 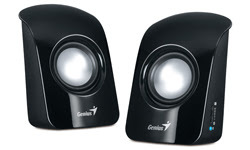 Compact satellite speakers deliver excellent sound quality yet fit easily on a desk, bookshelf or TV cabinet. The subwoofer pumps out deep bass that’s easy to adjust to your liking. Whether you want better, fuller sound for your PC, Mac or the music on your smartphone, this stereo speaker system makes great audio plug-and-play easy. 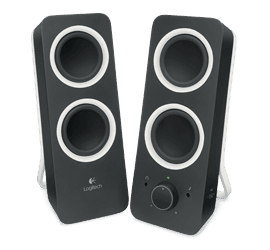 DUAL SPEAKERS WITH POWER – VOLUME AND TONE CONTROLS . Rich stereo sound with deep base. Be moved by big, 5.1 sound from your music, movies, and games. The Z506 has multiple inputs that let you connect your PC, game console, iPod®, DVD player, and more. You're surrounded - It envelopes you, immersing you in the action-rich immersion surround sound, even from two-channel stereo sources. » !!!!!! Speakers Special !!!!!! » !!!!!! Printer Cartridge Special !!!!! !